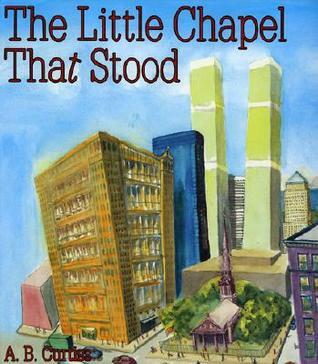 The Little Chapel That Stood is an illustrated poem about St. Paul's Chapel in lower Manhattan, which was built in 1766 and is less than 100 yards from where the Twin Towers once stood. Miraculously, on that fateful day in September of 2001, St. Paul's was left unscathed. Even the fragile chandeliers that had once been packed away during two world wars never wavered. The firemen who valiantly risked their lives to rush into the World Trade Center in an attempt to save lives, hastily left their shoes on the iron fence as they laced up their boots and went to work. After the events of 9-11, St. Paul's became a meeting place, a place of solace, a place of hope, and a place to grieve those who lost their lives. This beautiful, moving poem is a tribute to unwavering strength, faith and the search for a symbol of hope in a time of such tragedy. The Little Chapel That Stood, while written shortly after September 11, 2001, stands the test of time and is a text that will undoubtedly be read and studied now that we are viewing 9-11 more as a moment in history rather than as part of the raw wounds of the present.